Phone systems are communications hubs in a busy world. Sales are made when leads reach salespeople immediately. Customers expect a response in minutes, not a day from now. Decisions must be made and actions authorized sooner rather than later because downtime costs more than ever. Connecting the right people is not as simple routing calls to the right desk in the office. Spyderweb Communications will analyze your business needs and design and implement a unified communications solution that fits your business and your budget. New technologies are making those connections more effective and providing new opportunities to grow your business. 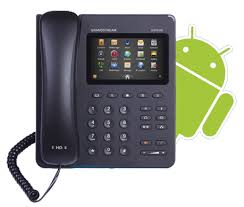 Small business phone systems can be less expensive. They can make you more effective. Your business phone system connects you to the world. Connect your customers, employees, vendors and everyone who must communicate with you and each other. Connect cost-effectively and with the best solution to meet your communications needs. Voice over IP: What Are the Benefits? Let Spyderweb Communications assess, plan, and build you a unified business communicating solution that fits your business needs. Contact us today for a free assessment.